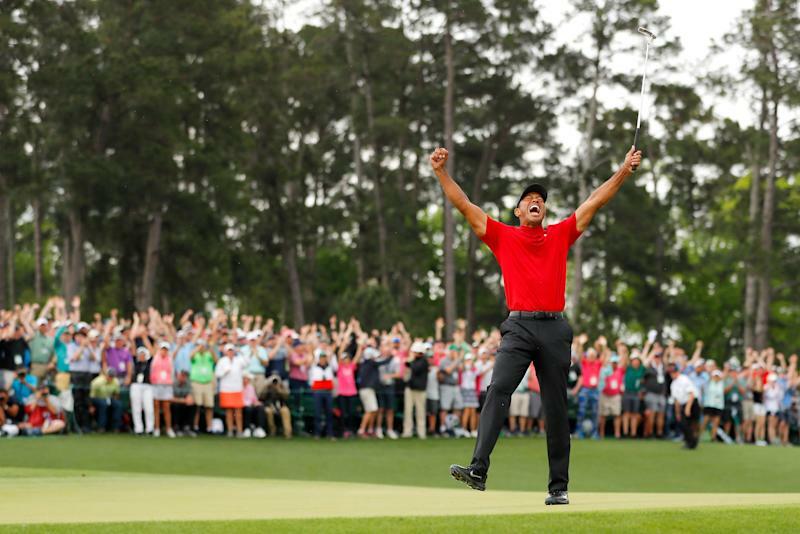 Tiger Woods has won his first golf major since 2008 after sealing a fifth Masters triumph at Augusta on Sunday. The former world No.1 overhauled overnight leader Francesco Molinari, who suffered a collapse on the back nine which included finding water at the 12th and 15th holes, to finish one stroke clear of the field. Woods’ 15th career major completes a stunning comeback from multiple back surgeries, the most recent of which was in April 2018. He finished the weekend on 13-under par, ahead of a three-way tie between Dustin Johnson, Brooks Koepka and Xander Schauffele on 12 under. A jubilant Woods celebrated wildly on the 18th green with his mother and two children after winning the iconic green jacket for the first time in 13 years. 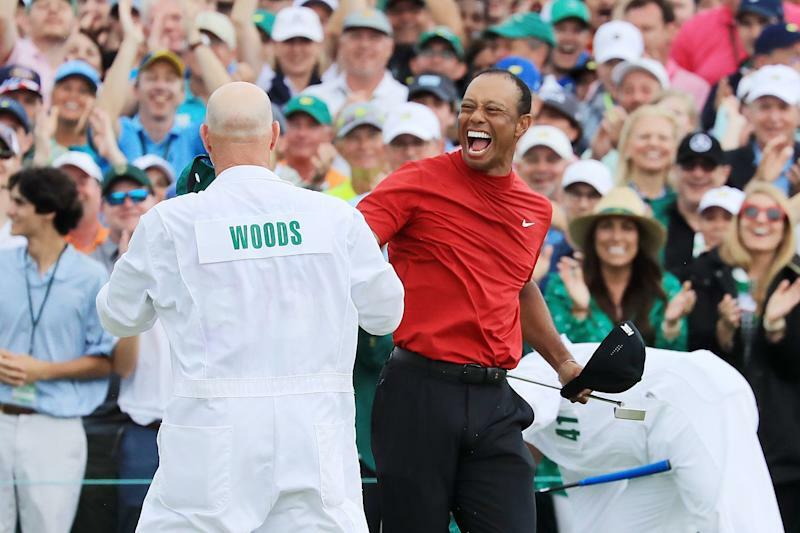 It was the first time Woods has ever come from behind during the final round to win a major and he needs just one more victory at August to match Jack Nicklaus’ all-time Masters record of six. Woods is now just three majors behind Nicklaus’ record total of 18. “I’m a little hoarse I think from yelling,” he said during the customary winner’s interview in the Butler Cabin. “I was just trying to plot my way around the golf course. All day. Just plot my way around. Woods celebrated amid jubilant scenes on the 18th green. Woods’ first ever Masters victory came in 1997, when he celebrated by embracing his late father who had recently recovered from a heart attack. Twenty two years later, he embraced his own kids within moments of the clinching putt. Aside from spinal fusion surgery, Woods has also had to overcome losses of form and a number of crises in his personal life including accusations of infidelity which led to breakdown of his marriage to Elin Nordegren. In May 2017, he was arrested on a DUI charge and subsequently underwent rehabilitation tournament. He was forced to miss the Masters through injury in 2016 and 2017 before a resurgent 2018 season. Woods was in contention to win both the Open Championship and USPGA Championship before finally ending a five-year wait for a PGA Tour title last September. “It’s overwhelming,” added Woods. “I think because of what has transpired. Last year, I was just lucky to be playing again. The previous champion’s dinner, I was really struggling.